Sen. Rand Paul delayed a vote on the Senate’s massive spending deal, pushing the government to shutdown on Friday morning. Other Senators from both parties were not pleased with Paul’s tactics. The spending bill eventually passed shortly after midnight despite Paul’s display. The blame game in the Senate over the second government shutdown of 2018 isn’t nearly as complicated as the first time around. Senators from both parties blasted Sen. Rand Paul for his protest Thursday night that pushed debate over a massive spending deal past midnight and effectively triggered the lapse in funding. “I wonder about the endgame of people who keep us here till 1:00 and achieve nothing,” GOP Sen. Richard Shelby told reporters. “To me, it looked like he was clueless, I didn’t see any purpose,” Democrat Sen. Claire McCaskill said. Paul was able to block a procedural vote to move the timing of a vote on the funding bill since the request needed the unanimous consent of all 100 Senate members. By blocking the change, Paul forced the chamber to wait until after midnight to vote on the bipartisan deal – pushing the government into a shutdown. “It’s a colossal waste of time, he never gets a result,” Sen. John Thune, a member of the GOP leadership, said. The Kentucky Republicans objection was to the large increase in spending – nearly $US300 billion over the current limits over two years – that came in the deal and its impact on the national debt. “Make no mistake, I will always stand up for fiscal responsibility, regardless of which party is in power, and I will continue to call the Republican Party home to the ideas that led to Americans trusting us with government in the first place,” Paul said during the debate on the floor. 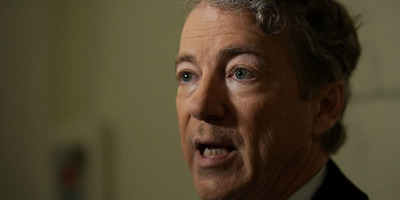 Paul requested that the spending bill be opened for an amendment to maintain spending at the current levels, which he acknowledged would likely fail. But, opening the bill for amendments would also delay the process even more so Senate Majority Leader Mitch McConnell denied the request. When asked why leaders wouldn’t open the bill for Paul’s amendment, Senate Majority Whip John Cornyn was blunt. Despite Paul’s delay, the package eventually passed the Senate by an overwhelming vote before it headed to the House where it passed around 5:30 am ET.